To Rakesh Gupta, a Salesforce MVP and small business owner, adversity is essential to achieving success. In fact, his life journey is the perfect example of it.Born and raised in Katihar, a small town in India, Rakesh saw his parents sacrifice their needs and safety for his success. He recalls watching his father leave each morning to walk miles to work, often in heavy rain, and through flooded and dangerous roads. Despite his dedication to providing for his family, there were times when Rakesh’s father would not get paid for months. 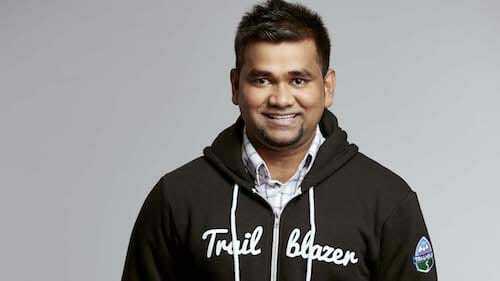 At the age of 13, Rakesh took on a job to help put food on the table for his family, and has been working ever since.Although Rakesh calls himself a “very normal guy,” his accomplishments say otherwise — he taught himself how to speak English at the age of 21, is a renowned Salesforce MVP, has authored multiple books, and currently runs a blog called Automation Champion, which helps people learn the power of technology.We sat down with Rakesh to talk about his incredible life journey of learning technology, and how he now helps others learn too. Q: Your backstory is very unique. How did it make you who you are today and lead you to become interested in technology? A: My life story is actually not unique. A number of talented people in India don’t have the resources to allow them to achieve professional success. However, my backstory did push me to rise against the odds. I started working to help my family, and eventually, I became a software engineer. I always had been interested in technology, but I didn’t have any specific career aspirations. When I started studying customer relationship management (CRM) and Salesforce, my background made me very optimistic and eager to surpass challenges and learn more. For example, I used Trailhead to teach myself Salesforce, and whenever I’d get stuck, I would turn to the Salesforce Trailblazer Community for additional tips and tricks. From my parents’ example, I learned that in order to really achieve anything, I needed to work beyond the hardships in life and set goals of where I want to be. This mindset allowed me to set goals in terms of what I want and to achieve them, which was how I was able to overcome challenges when learning and exploring the power of CRM later in my life. Q. You’ve had quite the journey with Salesforce. Can you tell us a little bit about it? A: I was working on another CRM when I first started, but as soon as I started learning Salesforce, my life changed. In December 2012, I became active on the Trailblazer Community and I learned about user groups. I started my own developer user group, and met other people, like Kavindra Patel, who wanted to see me succeed in learning a new technology and introduced me to others who could help. I then came to understand that Salesforce is not only a platform to help businesses grow; Salesforce is a Ohana (the Hawaiian word for family both related and chosen) that helps you grow and helps everyone grow together. That was a huge turning point of my life. After I started with the Trailblazer Community, I began writing blogs to help other people working with Salesforce. At that time, my English wasn’t very good. People from the community helped me make my blogs better. I took their suggestions and was open to criticism. I felt the criticisms were actually compliments as people were willing to take the time help me get better. Their feedback helped me grow my blog from a hundred views a month to 80,000. Q: Speaking of your blog, what inspired you to launch it? A: At first, my blog was about my experiences and named after me. Then I realized that no one was writing anything about Process Automation — the Salesforce tools that allow anyone to automate complex and repetitive business processes with apps. I started putting together content about automation that I found helpful and I tried finding unique cases for Process Builder and out-of-the-box technology. I wanted to make it clear that automation is so simple that people can do it without writing code. In 2013, I thought it’d be a good idea to do some rebranding. Someone from the MVP community pitched me the name “Automation Champion” and I went with it. I’m really thankful to my Salesforce MVP Ohana for helping me select the name. Q: How do you embrace technology in your everyday life as a Salesforce MVP and as a blog owner? A: Just like me, there are a lot of people asking for training or help. I use my blog as a channel to help them — I include relevant ads, sponsors from the community, and AppExchange partners to help more people. You could say that those people asking for training or help are my opportunities and leads. When using Gmail alone, I didn’t have a way to track all those asks. If someone wanted to post something, or train with me, I didn’t have any way to really track it months later, or to see if I had followed up. That’s why I started looking at a CRM. Initially, I thought enterprise CRM would be helpful, but I quickly realized that enterprise CRM is quite robust for my use case. I looked at different CRMs for small businesses, however, many didn’t have integrations with Gmail. I didn’t want to open up another email account to import data. Salesforce Essentials offered a Gmail integration and was out-of-the-box for small business owners, so I started playing around with it. As a blogger, there are quite a few features in Salesforce Essentials that I like. For example, web-to-link lets you include a form and automatically bring data into Salesforce. With the process builder and flow, you can create a number of different things. If someone writes to you, you can have automated, canned messages written back. Obviously, there are email marketing applications that offer this feature, but not at this price point of $25/user/month. Plus, they sell on the number of contacts you have, whereas Salesforce doesn’t have those limitations. If bloggers are looking for a way to make reach more people efficiently and easily, I recommend they use Salesforce Essentials. Q: What advice do you have for other people who may want to lead a business, or who want to learn technology but don’t know where to start? A: First things first, be patient — patience is the key to success. For example, you can overcome adversity if you just keep working at it. Nothing happens overnight — make a goal, an agenda for every year, and then create a target to every month and see if you are aligned to it. If you’re doing that, you’ll be successful. Something to remember is that success doesn’t have parameters. There is no specific definition for success that says you need to become a certain thing or be a certain someone. To me, success is doing what you love and being able to make a living at it. Secondly, join the Salesforce Trailblazer Community. The best part of the Salesforce community is that regardless of your gender, race, or language you speak, you feel like family. No matter what you’re trying to learn, the community will be a great place to learn from people just like you. When you go to the Salesforce Trailblazer Community, you’ll see how many people are using Essentials. There are numbers of how many people use the product, you can ask for feedback from peers, and that’s how you can start your journey.